How much Warning do I get? Can the Police detect them? Step 2: Where do you plan on Driving? · Learn the Eskimo roll (yes, your boat will tip over in this sport, but you can learn to roll it back to the surface). Where you plan on driving has a major determination on what the best radar detector for you will be. In Western Australia it is perfectly legal to own and use a radar detector. 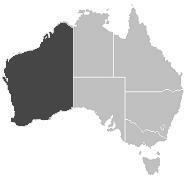 However in every other Australian state and territory they are illegal to use. 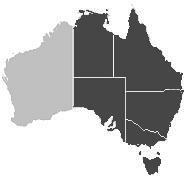 If you own a radar detector in Western Australia, but cross over the border into South Australia or the Northern Territory, you risk having your radar detector confiscated if it is either seen (visually) or detected (electronically) by the police. The police have in their arsenal a unit called a "Stalcar" or a "Spectre" which is a fancy name for a radar detector detector. That's right! The police have themselves a gadget that can electronically detect most radar detectors. Therefore if you plan on driving outside of Western Australia (whilst we certainly do not recommend breaking the law) there are only a few radar detectors on the market which cannot be electronically detected by ANY police Radar Detector Detectors (RDD). These undetectable radar detectors are also called stealth radar detectors. Summary: Choose Western Australia only if you plan to always drive in WA.